Click above to leave a review. At Kia of Irvine we take customer satisfaction very seriously and are always trying to improve to make your experience better. Whether you bought, leased or serviced any car here we would love to hear your feedback. With your feedback we can continue to improve and make future visits even better. My name is Wayne T. I purchased a car April 27, 2013....was treated great by Jeff Jones and his staff. I went back May 4 purchased a second car had a little different treatment from a Gordon that was the manager on that day however finally got it worked out. I have since helped 5 friends go there and purchase cars thr them with great deals. I use there service dept and staff always have been great. So if you want a good car and good deals Go see Jeff Jones or Kevin Jones and they will set you up with one of there sales person and work out a great deal. 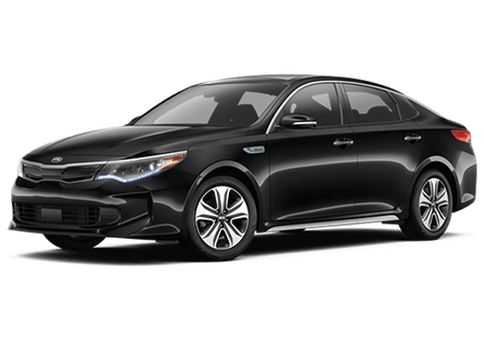 I bought a new 2016 Kia Optima and I love it! My experience with the Salesman Fred and the Sales Manager Jeff was excellent! They made the whole process quick and easy. I just purchased a 2015 Kia Soul EV Plus model at Kia of Irvine. I've had my eye on this vehicle for a while and must say it exceeds my expectations. Before this purchase, I drove a Chevy Volt and learned that electric cars really fit my lifestyle but I really wanted a crossover type car. The Kia Soul EV offers just that. Before my Kia Soul EV purchase, I had never owned a Kia. My experience with this dealership has been excellent from start to finish. I worked mostly with Jeff "Curly" and he is as professional as they come. He answered my emails, phone calls, and texts very promptly and was honest and trustworthy. Everyone at the dealership has been great and they really strive to make the customers happy. I plan to be a loyal Kia customer for many years to come. I absolutely love my Soul EV and Kia of Irvine made it happen for me. Go visit this dealership! They will take great care of you. Regards, Bethany T.
Internet Salesman Mike was great no pressure, very helpful and patient. He helped us through all phases of the sale and made it one of my easiest car purchases ever. Mike S. was very willing to give me a price estimate on the vehicle I wanted. The process was easy and fast once I got there to finalize paperwork and drive my car away. We were very pleased with the service they provided.